Guys, I think I may have solved it. 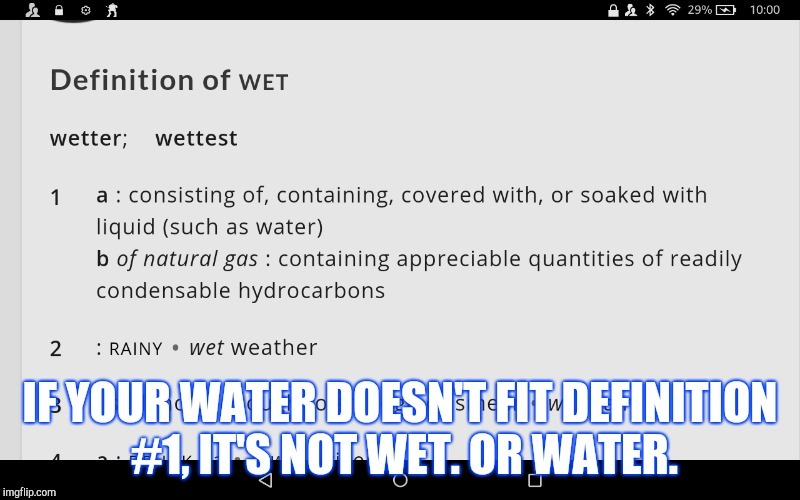 IF YOUR WATER DOESN'T FIT DEFINITION #1, IT'S NOT WET. OR WATER.